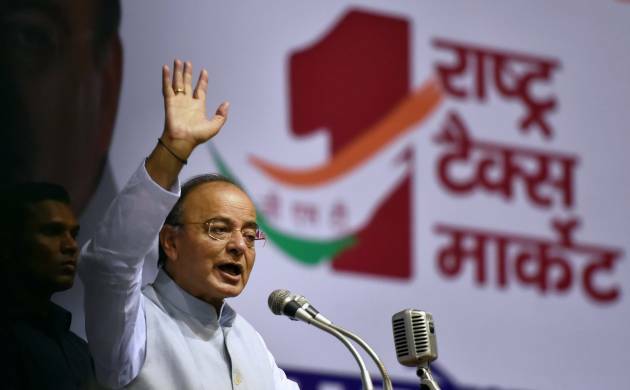 Finance Minister Arun Jaitley on Thursday sought to take away from the Congress the credit of being the originator of the landmark GST, saying the idea was first explored by the Atal Bihari Vajpayee government six years before Congress’ first move. Jaitley said the government changed in 2004 and the incoming Congress saw merit in the suggestions given by the Kelkar committee. And in 2006, the then Finance Minister P Chidambaram spoke of GST in his Budget speech and set 2010 as deadline for rolling out the new indirect tax regime, Jaitley said, adding he could not implement the plan. But the UPA could not get all states onboard because they could not resolve how to compensate losses to manufacturing states, as GST being a ‘destination-based’ tax would benefit consuming states, he said. “The day Modi decided to compensate the states for five years, then almost all states started speaking in the same voice....the government passed the Constitution Amendment (Bill) with full consensus,” Jaitley said. Taking a dig at the Congress, he said the GST was in the party’s election manifestos but at the last moment it did flip-flops as it was not sure if the new tax regime would pay off. Jaitley said all states irrespective of state governments supported GST because they felt it would benefit the state and the Congress too supported it by voting for it in Parliament and participating in GST Council meetings. “They were doubtful that perhaps GST might not be successful, that is why towards the end they became a little nervous. “They felt if GST clicks they will say they were part of the process that led to the new regime, and if it failed the government could be blamed,” he said. Congress thought if there are any hiccups in GST rollout, the government will have to bear the brunt and if there are any fruits, they will say they also contributed. “Their strategy is very clear but their attitude is not very clear,” he said. The new tax regime will go a long way in benefiting the economy and businesses, he added.“No finance minister can bring in this type of change till there is support of the Prime Minister. No one had the ability to take bitter decision to overhaul the tax system... Our country became one from political viewpoint but not from an economic standpoint,” Jaitley said.